Responding to an inquiry from the U.S. Court of Appeals for the Fifth Circuit, the Texas Supreme Court ruled Friday, in a 5 to 4 decision, that the “coercive nature” of the administrative proceedings employed by the Environmental Protection Agency (EPA) under Comprehensive Environmental Response, Compensation, and Liability Act’s (CERCLA) cleanup and cost recovery provisions amount to a “suit”, and a potentially responsible party’s (PRP) receipt of a CERCLA letter from EPA, inviting the recipient to negotiate with EPA “is effectively a demand”. Moreover, with respect to judicial review, “as a practical matter, courts afford PRPs no hope of relief, and consequently they have no choice but to comply with EPA’s directives”. The case is McGinnes Industrial Maintenance Corporation v. The Phoenix Insurance Company and The Travelers Indemnity Company. Chief Justice Hecht wrote the majority opinion. This decision was triggered by ongoing cleanup actions taken at the San Jacinto Waste Pits Superfund Site, which is located in Harris County, Texas, in the vicinity of Pasadena, Texas. According to the Court, in the 1960’s McGinnes Industrial Waste Corporation (McGinnes) dumped pulp and paper mill waste sludge into disposal pits near the San Jacinto River. EPA began investigating possible environmental contamination in 2005 and, in 2007, notified McGinnes’ parent company that it was a PRP at the site, and invited the parent company to begin negotiating an order for the cleanup of the site, and the reimbursement of EPA’s expenses to date. When McGinnes and its parent company failed to respond to these EPA communications, EPA issued a Unilateral Administrative Order (UAO) directing McGinnes to conduct an remedial investigation and feasibility study; a failure to comply with this UAO would expose McGinnes to $37,500 per day in daily penalties and very costly punitive damages. McGinnes was covered by a standard-form commercial general liability (“CGL”) insurance policies at the time it was “dumping” waste at the site, and it asked for a defense in accordance with the terms of the insurance policy. The insurers refused, arguing that these EPA administrative proceedings are not a “suit,” as specified by the policy. McGinnes then sued its insurers in federal court, but the court agreed with the insurers’ position, granting their motion for summary judgment. 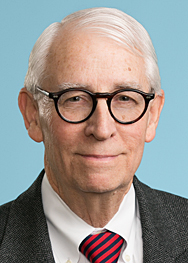 On appeal to the Fifth Circuit, that Court of Appeals asked the Texas Supreme Court to answer the question” “Whether EPA’s PRP letters/and or administrative order, issued pursuant to CERCLA, constitute a ‘suit’ within the meaning of the CGL policies, triggering the duty to defend” — to which the Texas Supreme Court answered: “Yes”. Dissenting justices Boyd, Johnson, Guzman and Lehrmann argued that the Court was, in effect, rewriting these insurance policies, and described the ruling as a “disturbing decision”.